Here is a reason for Fiat fans to rejoice. 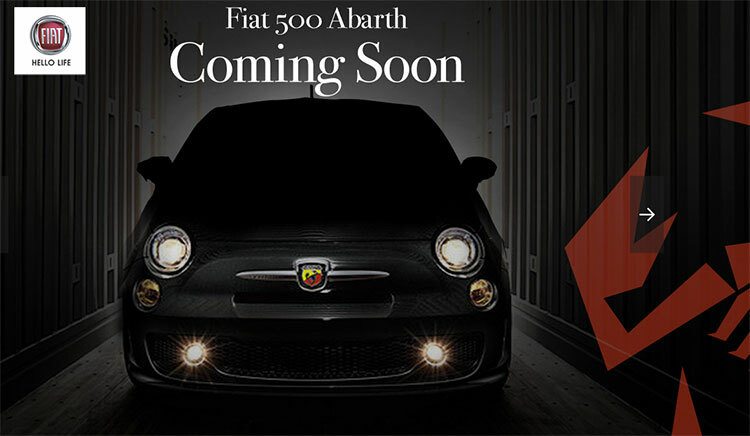 Fiat India has teased its upcoming Fiat Abarth 500 car on the homepage of its official website fiat-india.com. After a long suspense, it is now official that Fiat India wants to bring Abarth 500 to Indian market. The Italian manufacturer, Fiat had first showcased the Abarth 500 at the 2014 Indian Auto Expo. The new Abarth 500 shall be officially launched in coming weeks. Trusted sources have confirmed that Fiat India would further improve its portfolio in India by adding the new Abarth versions of Punto EVO and Avventura in months time. New Abarth 500 would start the Fiat’s launching spree in India, other than the Fiat Punto-EVO / Fiat Avventura’s Abarth versions, we could also expect the Jeep in India with Cherokee and Wrangler. Here is what you can expect from Fiat Abarth 500 in India. The Fiat 500 Abarth shall sport a tuned 1.4 liter T-JET engine which is similar to the on present in Fiat Linea. 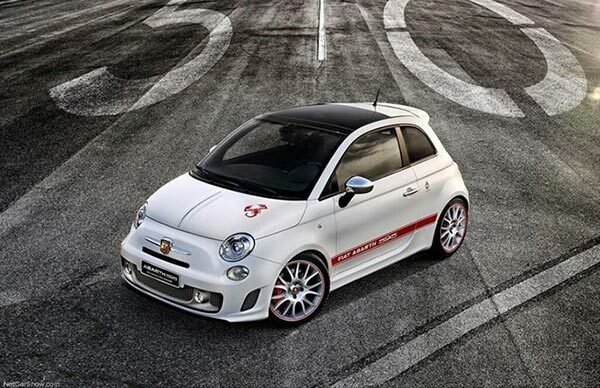 Abarth becomes Fiat’s official performance car. The engine present in 595 Competizione has 4 cylinders and are turbo charged delivering a maximum power of 160 PS @ 5,500 rpm and a churns out a peak torque of 230 Newton metres @ 3,000 rpm. The engine of Fiat Abarth is mated with 5 speed automated-manual transmission (AMT). Along with this, the 5-speed manual version of the car is also expected. Abarth 500 would run on 17-inch radials. The styling would be typical and matches any other Abarth vehicle with hot alloys on fat tyres, abundance of Abarth logos, racing stripes, sports seats and interiors. The upcoming Fiat Abarth 500 is going to take on the likes of the recently launched Mini Cooper S and aims to target the niche market in India as that of Mini. One can expect the price of Abarth 500 to be similar to that of Mini Cooper S in the range of 30 Lakhs to 35 Lakhs.